A mono-componante solvant based product with high covering capacity, ARCACLEAR TRAFFIC is a tintable transparent waterproof membrane that will render Arcaclear resin high traffic resistant. 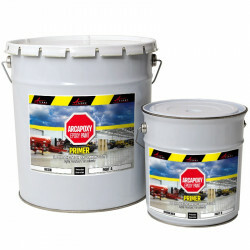 Arcaclear traffic gives a reinforced protection against mechanical, thermal, or chemical agression such as oils, grease, damp, acids and diluted inorganic bases and any other soiling or corrosive liquid. 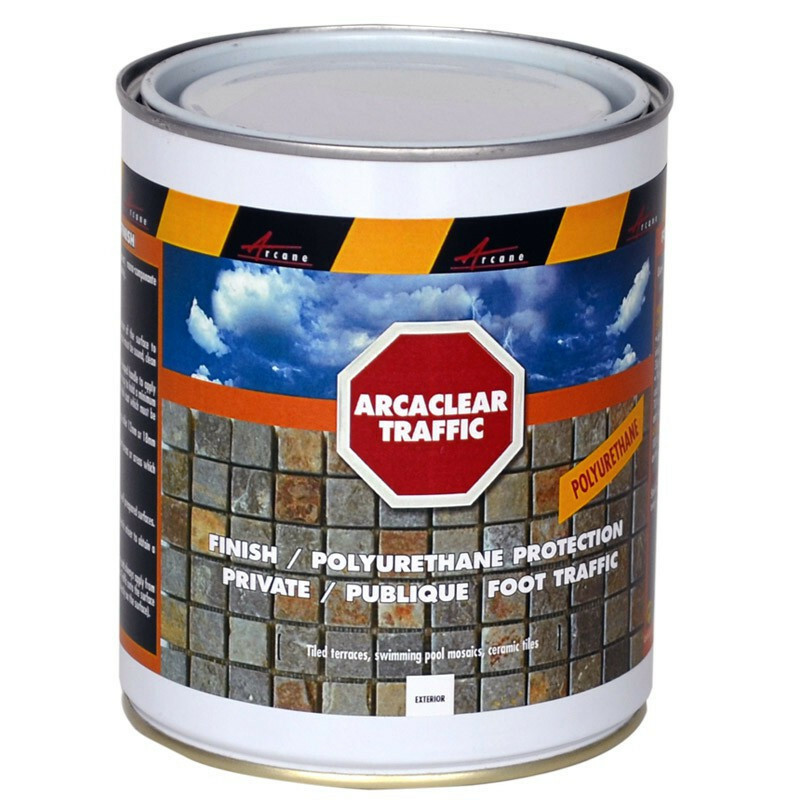 Arcaclear Traffic is a mono-componante solvant based capacity, tintable transparent waterproof membrane that reacts with the humidity in the air to dry to a stable, non-yellowing transparent coating highly resistant to chemicals, stagnating water and foot traffic. 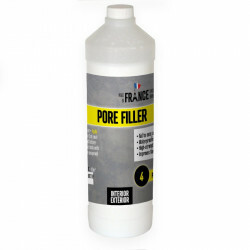 Can be used as a standalone product ( apply on a primer for porous or non porous substrates). 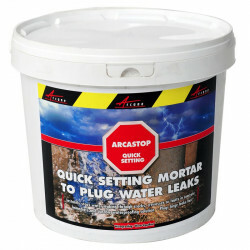 Arcaclear Primer for porous surfaces comes in 1kg and 5kg packs. 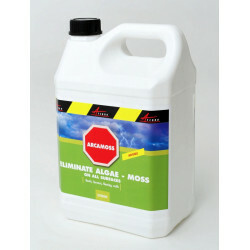 Treat any spore, lichenor any other fungi with a fungicide. 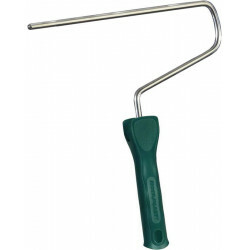 Thoroughly rinse the surface and dry completely (naturally or forced drying for organic, metal, wood or thermoplastic bases). 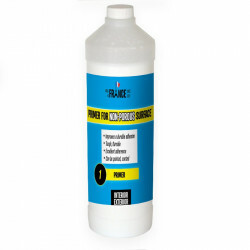 Degrease and strip the surfaces of any wax, oil, animal or vegetable grease and hydrocarbons, especially hydraulic, inorganic, .organic, metal, wood and thermoplastic bases). 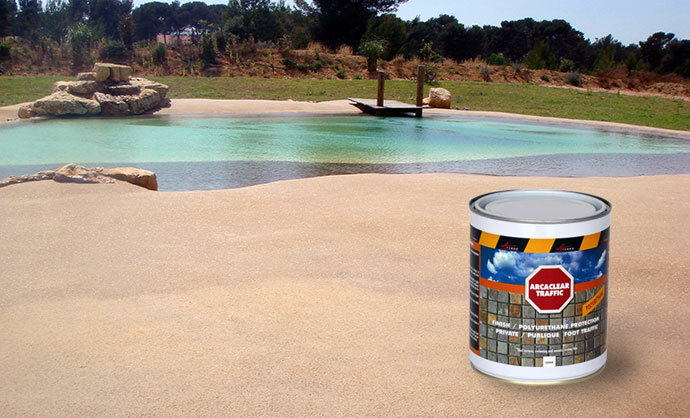 Clean the surface of any and all laitance, curing compounds and additives with a high pressure wash (140 bars minimum) and dry completely (forced drying for hydraulic or modified hydraulic cement systems). Sand, blast, plane and bursh all hydraulic or modified hydraulic cement systems, wood, metal, calcium or inorganic surfaces. 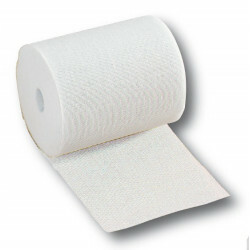 Chemically treat all thermoplastic and thermosetting bases. 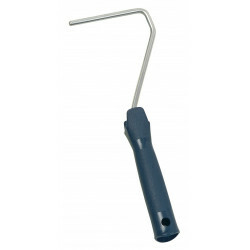 Sand, strip, brush and blast all metal surfaces. Apply first the required primer. Easy to apply, Arcaclear traffic must nonetheless be applied with care to obtain a transparent film of the proper thickness. Temperature conditions and relative humidity must be within the application limits explained as they will affect the curing time and performance of Arcaclear Traffic. Temperature of application must not be lower than 8°C and humidity in the substrate must not exceed 5%. 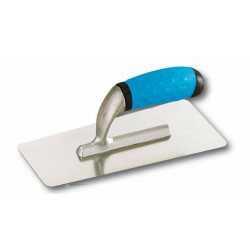 Arcaclear Traffic should be mixed with an electric mixer to obtain a homogenous product before application. 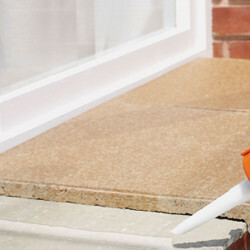 Pour Arcaclear Traffic into a suitable roller tray and always apply from the tray to the surface. 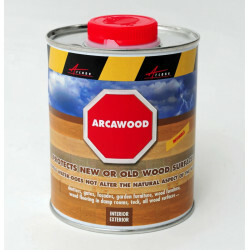 (Do not pour Arcaclear Traffic onto the surface and spread out from a large quantity placed directly on the surface). 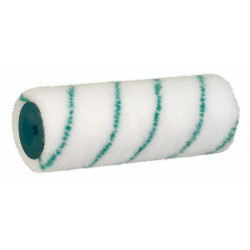 nap roller 12mm or 18mm attached to a Y-shaped handle to apply smoothly (the roller should be flattened in the tray to hold a minimum amount of product and avoid splashing on a thick coat which must be pulled out on the surface).